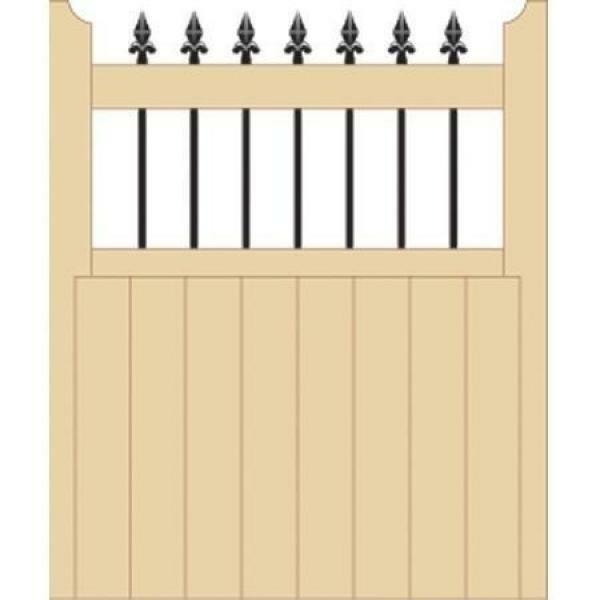 Beautiful wooden gate design featuring steel infill bars. Ideal for paths and garden settings. 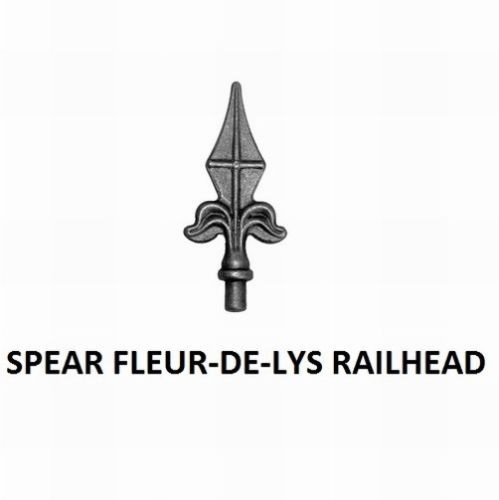 Fitted with fleur de lys finials and solid metal infill bars the high quality Vertifleur wooden garden gate will add a magnificent focal point to the entrance of any property. Available in a selection of sizes to ensure the best fit to your requirements the Vertifleur wooden gate design will provide years of security and privacy benefits at an amazing low price. 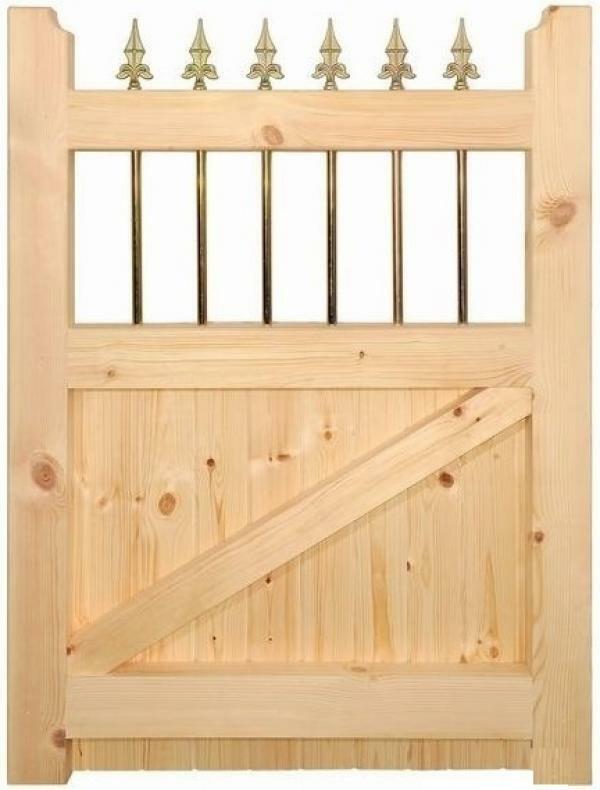 Visually appealing timber gate design will add charm and character to any garden setting. 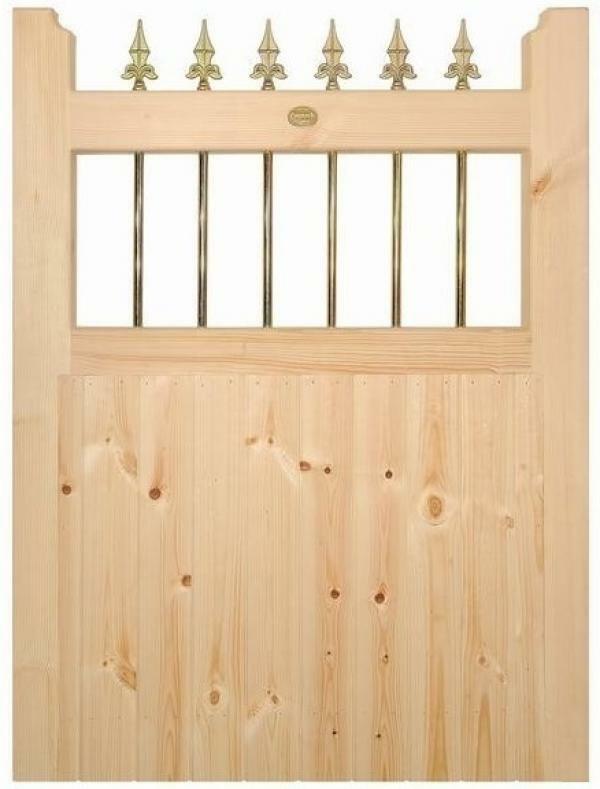 Manufactured from PEFC certified Scandinavian Redwood. Gates are handmade in the UK to exacting standards. Traditional joinery techniques such as mortise and tenon joints ensures strength and rigidity. Features a 95mm x 70mm heavy duty timber framework, 95mm x 14mm tongue and groove infill boards and 16mm zinc plated metal infill bars. Designed to be right hand hanging (as viewed from the front face of the gate). Supplied in an untreated natural timber finish ready to be painted or stained prior to installation. Hinges and accessories suitable for the Vertifleur gate are available to purchase separately. Select the width required from the menu above. 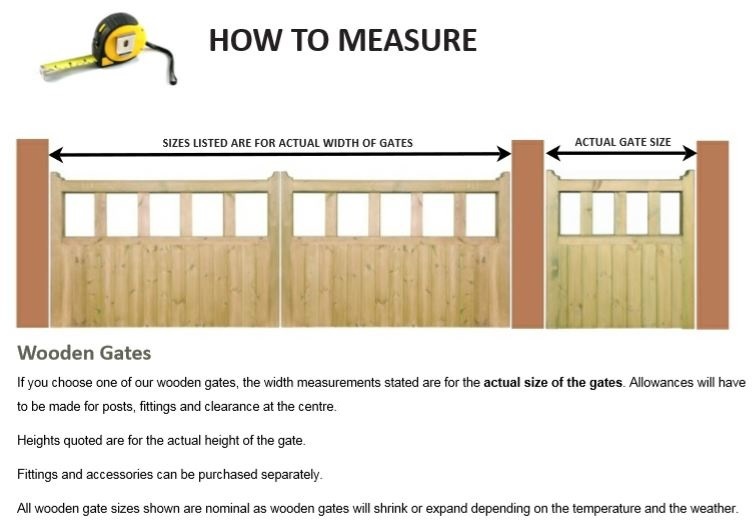 Please be aware the sizes represent the physical width and height of the gate. We have made no allowance for the space needed for the hinges and fittings. Do you need help from Garden Gates Direct selecting the right width? If you are unsure of the size you need to order please have a look at the section on measuring the opening or for more general queries view the ordering guide and FAQ`s. To complement this desirable hand made wooden gate we are able to offer you the following posts, fittings and accessories. To discuss the best options to suit your gate installation or if you have a technical questions please contact us by phone or email and we will be on hand to provide support and advice.